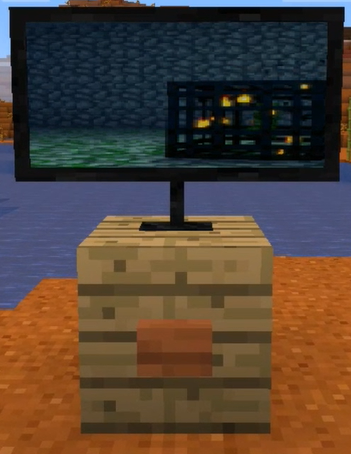 This is a data pack that allows you to craft nice and functional furniture such as working TVs, sitable couches and chairs, tables, lighting table lamps, closets and cabinet that you can open and place items in, darwers, sinks, baths and even more into your vanilla minecraft world. download the .zip file, open it, and read the instractions inside readme.txt! DO NOT simply put the downloaded zip in your datapacks' folder!!!!!!! 1. 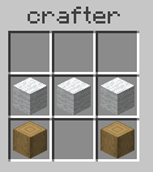 Before you can craft any furniture, you have to craft a crafter. 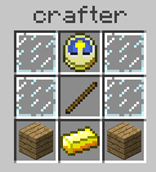 In order to craft a crafter, just put one crafting table inside of a crafting table. 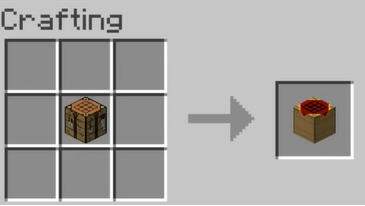 All the recipe the will be showed beyond are recipe you should do in the crafter, and NOT IN A CRAFTING TABLE. A TV can be turned on by a button ore a remote. 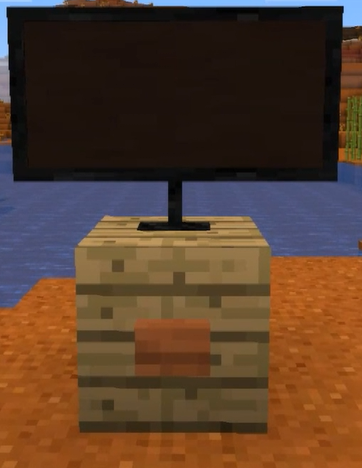 In order to turn the TV on: put it on a block and place a button on the side of that block. In order to break the TV, break the block that's underneath it. Right-click the remote to turn the nearest TV on/switch shows/turn off. 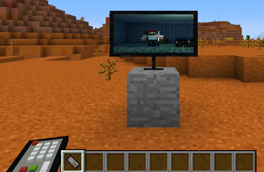 TV remotes are aviable from version 1.0.5 of the datapack and above. The recipe works with any type of wood. Right click a couch to sit on it. It breaks simply by left-clicking it. WARNING: DON'T BREAK A COUCH WHILE SITTING ON IT, I warned you! The recipe works with any type of wood, and each type of wood makes the chair look different. 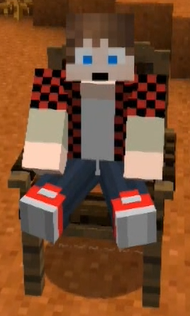 Right click on a chair to sit on it, left click to break. The recipe works with any type of wood, and each type makes the table look different. 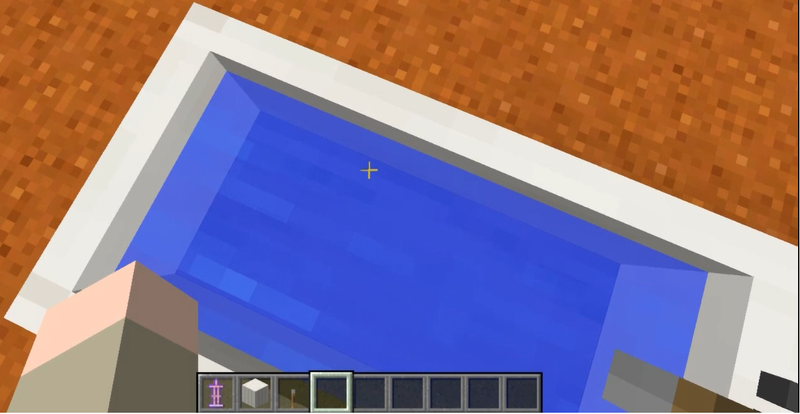 Left click on a table to break it, or break the block that's underneath it. The recipe works with any type of wood, and each type makes the closet look different. 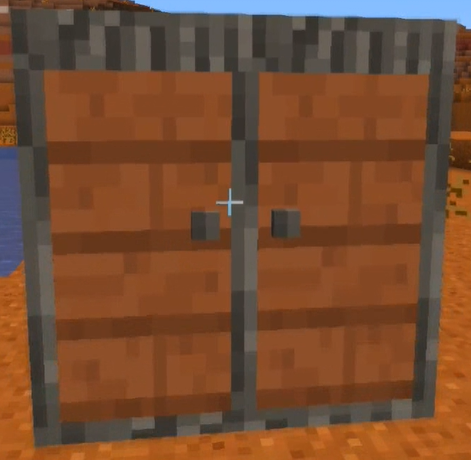 To open the closet, right click on the bottom side of its door. Do the same in order to close it. You can put items in the closet by right-clicking with an item somewhere on its shelves (the left side of shelves is kind of glitchy at the moment). Left click on the closet to break it. Sometimes it's easier to break when closed. The recipe works with any type of wood, and each type makes the cabinet look different. To open the closet, right click on the back side of its top. Do the same in order to close it. You can put items in the cabinet by right-clicking with an item somewhere on its shelves (the left side of the shelves is kind of glitchy at the moment). Left-click on the back top side of the cabinet in order to break it. The recipe works with any type of wood, and each type makes the drawers look different. 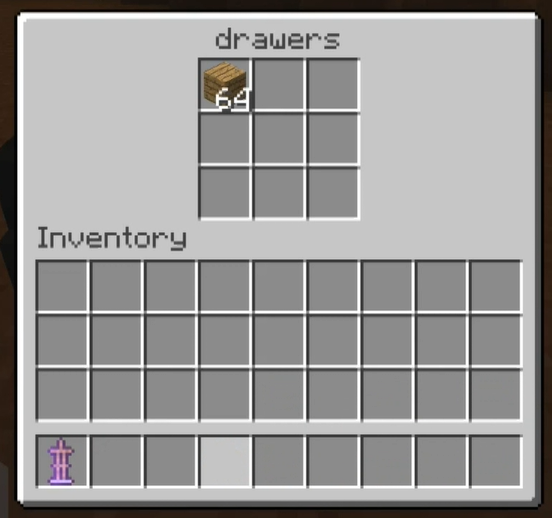 There is currently a glitch that makes the drawers look a lot darker than it should be, a fix is on the work. Left click on the drawers to break it. Left-click the bottom part of the bath to break it. The sink must be placed in front of a block. Break the block that's behind the sink in order to break it. 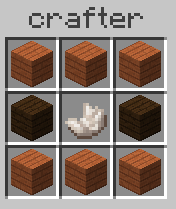 Since version 1.0.3 of the datapack, you can color table lamps by putting 1 table lamp and 1 dye in the crafter. To break it, break the block that's underneath it. 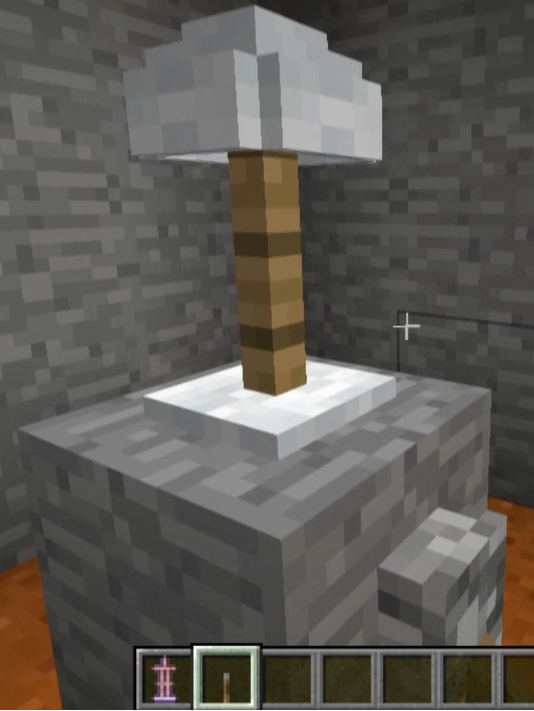 Lamps are aviable from version 1.0.3 of tha datapack and above. You can use different dyes to get different colors of lamps. 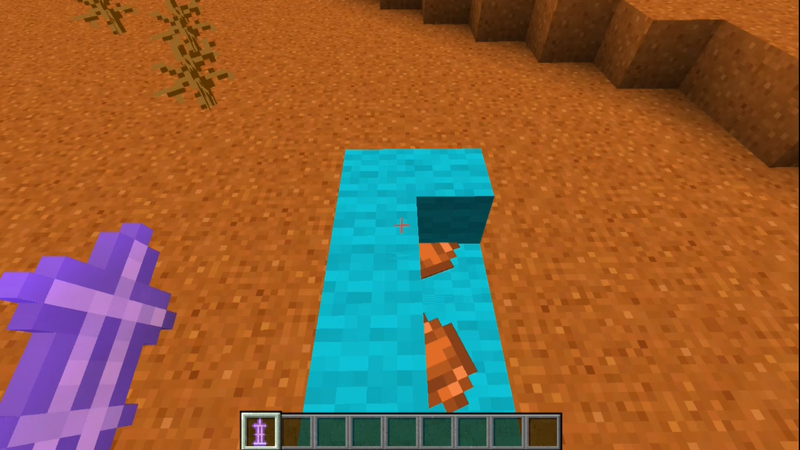 Showers are aviable in version 1.0.4 of the datapack and above. Grandfather clocks are aviable in version 1.0.4 of the datapack and above. (Those were planned to be added in previous versions, but got canceled several times). 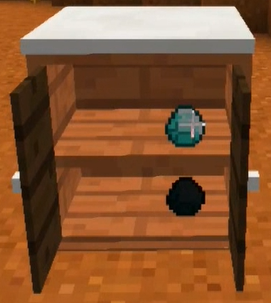 You can use different wood types to get different clocks. Grandfather clocks show the time just like a regular clock, and its pendulum also moves. 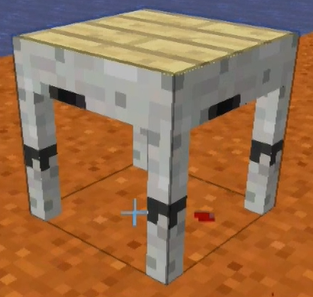 Stools are aviable from version 1.0.5 of the datapack and above. 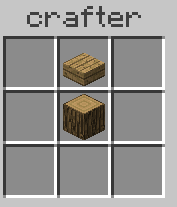 You can use any type of wool and/or wood to make the stool look different. Sout-out to MonaLisa for making the stool model. 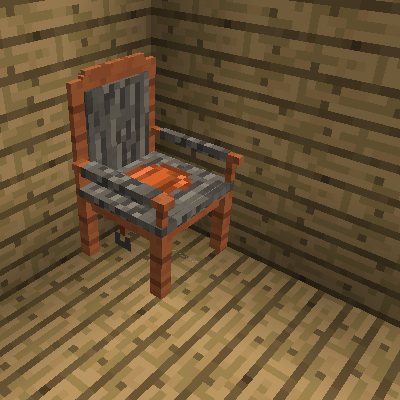 Turning chairs are aviable from version 1.0.6 of the datapack and above. The turning chair simply faces the same way you do while sitting on it. 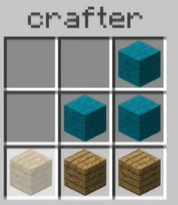 You can use different wool colors to get different chair colors. 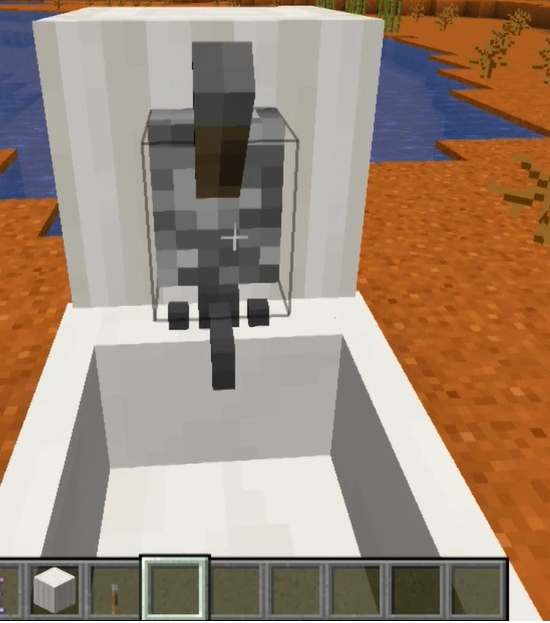 Toilets are aviable from version 1.0.6 of the datapack and above. You can sit on the toilet. 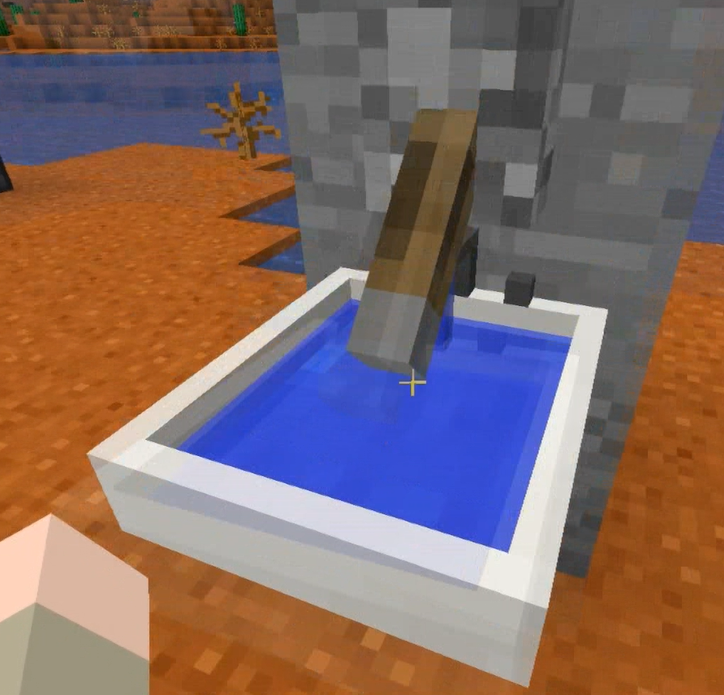 Wooden sinks are aviable from version 1.1.0 of the datapack and above. 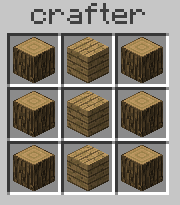 The wooden sink can be crafter by a regular sink and a single block of planks (in the crafter of cource). 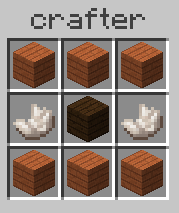 It's aviable in all 6 wood variants. In order to break a wooden sink, simeplly left-click it. 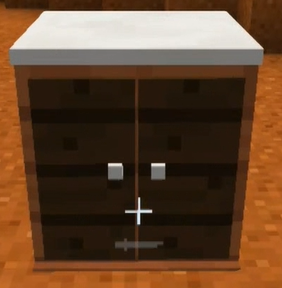 The clothes hook is aviable from version 1.1.0 of the datapack and above. You can place a shirt (chestplate) on the clothes hook by right-clicking it (with the chestplate). You can take back the chestplate by right-clicking again, with an empty hand. In order to break a clothes hook, left-click it or break the block behind it. 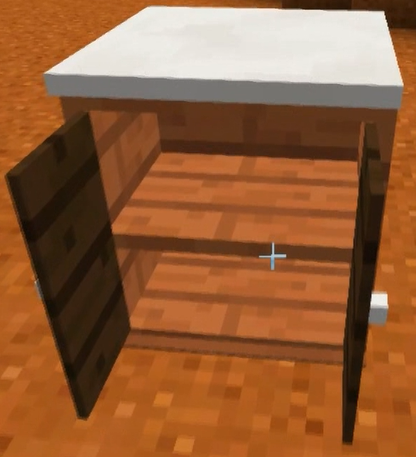 Fridges are aviable from version 1.1.0 of the datapack and above. You can open the fridge by right-clicking its door. Then you can put things in the top part by right clicking the shelves, and also put things in the bottom part by right-clicking it (works like a chest). You can break the fridge by simplly left-clicking it. Color flower pots are aviable from version 1.1.0 of the datapack and above. 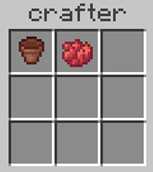 In order to craft it, put a flower pot and a dye in the crafter. It works just the same as a regular flower pot. Have fun with the data pack! 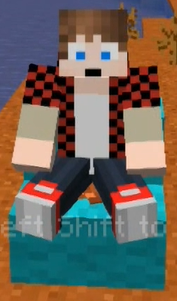 man i put this datapack on my server and it got so much lagged. can you fix the perfomance problems? its possible to fix? thanks. If Im gonna install it on my server, will it work? If i type /reload in the game-chat, the placed crafter turns into an useless grey thing. Why the crafted items look like enchanted armour-stands in the inventory or the hand? while i played around with some furniture, all my common armour-stands and my item-frames disappeared. maybe, as i used that /reload - command. 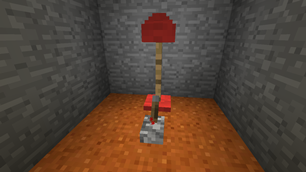 if i place a couch on a single layer of blocks, where i have a lower floor undernead, the bottom part of an armour-stand hangs out of the ceiling below. I've already thought of it. I would do it a long time ago if I would have time. Are there performance Issues associated with this pack? 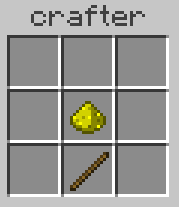 Does this data pack need a resource pack? Hello! Very cool datapack! But please fix the bug with the button. Ok, I've found your report in the reporter. Just started using this datapack v1.0.6 and really cool what can be done now. The cyan couch (haven't tried others) does let me remove one of the ends facing north or south. Sometimes I can break the ends first and then the middle(s), but if I start on one end, the opposite end cannot be removed. 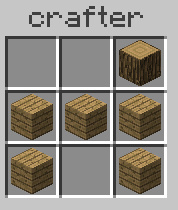 When this happens, is there a command we can use to safely remove the last block? I'm using PaperSpigot 1.13.2 Build 403. Also noticed that toilets are created, but there is a repeating horrible sound like its stuck in some loop. Goes away when breaking, but unusable. Feels like there are changes needed to get this working with 1.13.2. Thanks for telling me! I'll have a look at it soon. The next update of the datapack will probably be a bugfix-only update. Specificlly about toilets, I've basiclly released those without testing them. Which was a mistake. My bad! I really hope to realease a fix to all of those next week, or maybe the week after. All of these bugs should be now fixed in version 1.0.7 of the datapack.